Wacky covers. Graphic novels. Illustrator. Author. Dad. The first thing I notice about Mike Deas’ books is his wicked sense of humour. Even his serious books look like fun and have unique appeal. Margriet: Have you always been a doodler, a drawer, a graphic artist? Mike: Yes, I always loved drawing. As long as I can remember I found myself with a pencil and paper. I really enjoy the endless possibilities that can be created with a blank page. Margriet: Were you encouraged, as a kid or teen, to pursue art? Mike: Yes, I was very lucky growing up knowing what I was interested in. Living on Salt Spring Island, a community rich with arts, I had a lot of encouragement. In elementary school my teachers were very supportive, I did several research projects in a comic book format and started learning from a young age what the medium had to offer. In high school, I spent much of my time in art classes and received basic training in 3D animation. I also did a work experience with a couple of amazing artists who were working in the animation industry at the time. My parents have always been very supportive and encouraged my drawing. I often received art instruction books and supplies for Christmas and as birthday presents. Margriet: Did you go to school to learn more techniques? 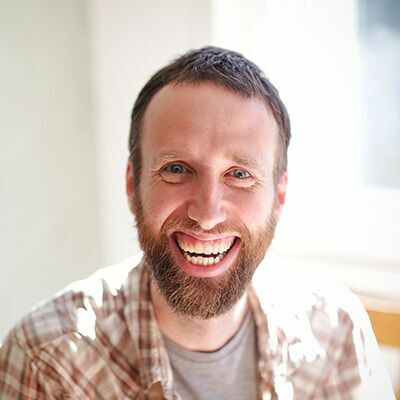 Mike: I took a two year Animation Diploma Program at Capilano College where I was surrounded by amazing talent. Courses included animation, character design, life drawing, layout design and script writing. This really pushed my drawing skills and understanding of the human form. Margriet: What is your favourite medium to use? Mike: I love working with brush and ink. I enjoy the different width variations of the lines it produces. It can create the illusion of form, mood and motion in an illustration. Margriet: Most of your books were written by someone else. But you also wrote your own. How is each process different and which do you prefer? Mike: They are two very different processes. It’s hard to say which one I prefer, because each method really brings out a different product and I get excited about both. I like working with other authors as I learn so much every time. I find two minds can create something that would be impossible coming from one. When writing my own projects, my wife Nancy often gets involved as an extra pair of eyes. She will get right into the dialogue with me, helping to bring the characters to life. Just like collaborating with another author, I find it pushes the story in ways that wouldn’t get explored otherwise. Working on both story and images allows me to think visually about the storytelling. Margriet: How long does it take you to complete the art for a graphic novel? Mike: It all depends on the project, whether it is colour or not, number of pages and panels per page. In general, the production time for one book varies between six months to a year. Margriet: What does your studio look like? Mike: My studio is a bright room on the bottom floor of our home. Windows on one side overlook our neighbours’ goat field. I have a drawing desk where I do my traditional drawing and painting, that tends to be covered in brushes, inks and paints. My computer station is set up on a large table with a Wacom tablet. This allows me to draw right onto the screen with a special pen. The walls are covered with inspiration and reference, which is constantly being updated to suit current projects. Margriet: Do your children draw with you? Mike: Yes! Our one- and three-year-olds spend lots of time drawing with me. Our three-year-old has really taken to colouring lately, so we spend lots of hours working our way through packets of felts together. Margriet: Which would be your dream story to illustrate? Mike: It is usually the most current book I am working on, so it is constantly changing. I enjoy balancing the fantastical with believable worlds. I am currently writing a graphic novel series called Sueño Bay Adventures. At the moment this is definitely the closest thing to my dream story to illustrate. It is set on a fictional group of islands on the west coast, very much based on the Gulf Islands where I grew up and live. The stories follow the supernatural adventures of four kids from the same small village. Margriet: What do you do during a school visit? Mike: In school visits, my goal is to encourage literature through the graphic novel medium to even the most reluctant readers. I start with a background on myself and how I got to where I am today. I have spent a fair bit of time working in the video game industry, which I usually touch on briefly. I then take the group, step-by-step, through my creation process of a graphic novel. This includes story, character design, thumbnail sketches, pencils, inks, colour and finally publication. Each step I present visually through photos, videos, samples of final illustrations and drawing demonstrations with audience participation. Depending on the age group, I really enjoy creating a character with the audience’s help based on tips that I have mentioned throughout the presentation. Mike: I have a very exciting year coming up as I am currently working on several projects. 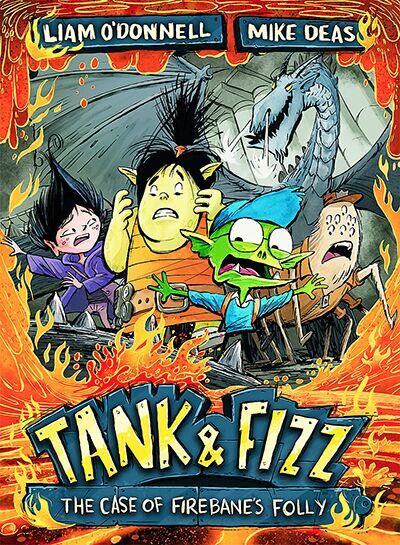 I am just about to dive into book 5 of the Tank and Fizz series written by Liam O’Donnell. These have been really fun projects to work on, sometimes it seems like Liam is really just thinking up the funnest things for me to draw. There are goblins, trolls, fairies, wizards, dragons, giant spiders and hungry slimes. The series is half graphic novel format and half traditional novel. 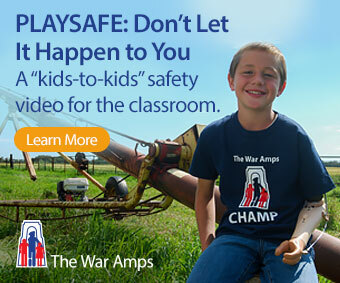 I have found this is a really effective way of storytelling. They are also a fantastic fit for the reluctant reader. I have also illustrated several biographies by Elizabeth MacLeod in a unique picture book format, with comic-flavoured illustrations. 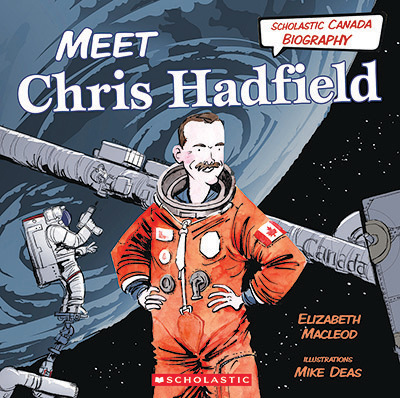 Each is about a famous Canadian: Viola Desmond and Chris Hadfield, both to be released August 2018. I enjoyed the research stage this non-fiction format has provided. And lastly, as I mentioned before, I am writing and illustrating a full-colour graphic novel series with Orca Book Publishers—Sueño Bay Adventures. The first book’s current release date is fall 2019. Have You Registered Your Class for the Solar Oven Challenge?